I am the first to admit, being a staying at mum is not for me and I'm not ashamed for my reasons behind it either, of which I'll go into more detail. But working has always been something I've wanted to do, been happy to do and if I'm honest was eager to get back to doing after being off having Noah. I think so many people feel being a SAHM is a walk in the park, there are far too many programmes about 'benefit Britain' that showcase a very minute crowd of stay at home mums, and they don't put them in a good light which means so many get tarnished with that same brush. It's unfair, after being on maternity leave now twice, I can see that it isn't easy but I can also see, that it isn't for me. Whilst I was initially on maternity leave with Noah I was the usual, so glad to be finished work, couldn't wait to spend time with my little one and all of the usual feels most parents have when they begin maternity leave. Even throughout a good 7 months I felt the same (I took 11 months with Noah) but towards the last 3 or 4, I did begin to feel lonely. Maternity money isn't lining your pockets, it's measly and it does keep you indoors a lot, and if truth be told it became quite mundane and boring for me. I longed to be back in work, I didn't want to just be known as Mummy, I wanted to be 'Miss Emily' again (I'm a nursery nurse), I wanted to come home to my son and I wanted chance to miss him. I needed adult conversation that wasn't just family, I needed somewhere to escape and focus on something different when home life was a little chaotic, I needed to go back to work - so I did & haven't regretted it for one minute since. I think being at home all day is very hard, even sharing little things out with your partner, for example there are days now where I'm counting down the minutes till John gets home so I can pass the babies over, but then is that really fair if he has been out at 'work' all day, does he think I'm just home sat on my arse? Being back at work helped us share tasks out more evenly, we'd both come home and both take responsibility of the children equally, I didn't get the 'I'm tired I've been working all day' crap comments, and John didn't get the 'HERE TAKE THEM' arms full of baby because I'd had a tough day. When you're home all day and the little ones are playing up, I'd find myself getting more and more worked up seeing the unmade bed, dirty dishes, bin that needed emptying, because I simply couldn't spare a minute to do it. Whereas, if I'm at work I don't have to be taunted with those little things constantly? I can come home, share the load with John and we can work together to get stuff done. All in all, I feel when I'm working away from the house, home feels like home, it feels like my comfortable place and my relaxation. 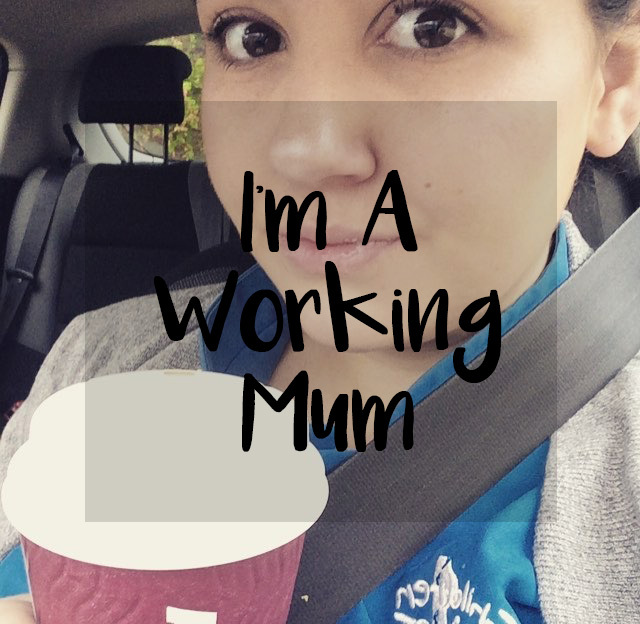 But if I'm home 24/7 either being a SAHM or a 'working at home mum', home doesn't feel like home, it feels like work, and that isn't what I want. My home needs to be our little serenity and I need to be Emily for a while - so that's why for me right now I'll always be a working mum.